Our bodies are made up of an electromagnetic energy fields known as the AURA, and the flow of this energy affects our well being. The Chakras are responsible for directing and distributing this energy throughout our body. There are 7 major chakras that run from the base of the spine to the top of the head centered on the spinal column; these chakras unite spirit, soul and body in the functioning of physical existence. These 7 major Chakras, each possessing a unique color and energy funnel type of vortex which governs a specific zone within our bodies. These major Chakras run from the base of the spine to the crown of the head, each Chakra being responsible for distributing energy to different organs, nerves, and muscles. Each chakra is like a spinning wheel that transmits powerful life force energy to the body. It is said, that all color comes for the seven rays which emanates from the great white light at the center of the universe. Each Chakra spins at a different frequency. When each Chakra spins at its perfect frequency the body radiates perfect health; emotions are centered and balanced and we enjoy a deep sense of peace and contentment. However, if we lead an unhealthy or unbalanced lifestyle our chakras can fall out of frequency or become overactive, underactive or blocked. This causes a disruption to our body’s energy flow and we fall prey to illnesses, feeling a general unwellness, physical pain, or we lose our emotional equilibrium. Crystals, Chakra stones and other sources of vibration can be used to activate, energize, recharge, or re-balance our Chakra centers. You may walk away feeling more balanced and centered, more energized or more peaceful than when you first walked in, awesome treatment ! 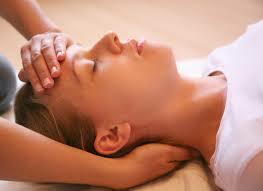 An Energy Transference Treatment is a form of alternative medicine. The body is filled with and surrounded by energy fields. By working with these energy fields, Practitioners can promote relaxation, harmony, and balance for their clients addressing specific medical conditions by affecting the body at a cellular level, removing stagnant energy in the body, in addition to easing emotional distress. 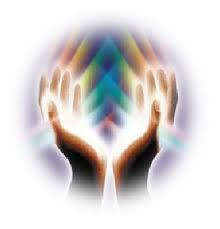 If the energy is blocked or disturbed, someone may feel corresponding illness or emotional unease. By unblocking or clearing this energy field the client may feel instant relief or within several treatments depending on the severity of the illness or emotional block. This non-invasive healing method enhances the body’s natural healing abilities and assist in physical, spiritual, and emotional well being. This treatment is for acute or chronic conditions which requires more time. We feel a healing too. Press YouTube icon on lower RIGHT corner of box to play video.....ENJOY !! !